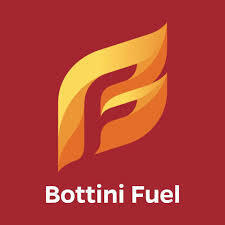 They use Bottini Fuel because of the control. They have a higher degree of control over the heat that is being applied to the skillet, pot, griddle, etc. and thus to the food in which they are cooking. You cannot get that same control by using any other source. This is the same reason that most grills are now of the propane variety as well, but that is a topic for another time. If you are not quite convinced yet that a propane range is right for you, allow us to share some of the top reasons that we feel that the propane range is the right choice. Keep in mind, we do sell propane, so we have a vested interest in you using this method, but that does not make it any less true that propane ranges are the best option when it comes to all your cooking needs. As we have stated in many of our articles, propane is the cleanest and most energy efficient fuel on the market. When we say it is efficient, we are referring to the price. It cost a lot less to use one gallon of propane than it does to heat the stove for one hour using electricity. You should not be going broke just cooking meals for your family. Electric stoves are a lot simpler as it does not take any added equipment in your house to use it. But the savings you will reap from installing a propane stove will far outweigh the installation cost. When you turn on your electric stove, you need to wait for the elements to heat up before the heat begins to transfer to your pot or pan. This will add to your cooking time. When you turn on a propane stove, the heat is applied right away. This will allow your food to start cooking within a matter of seconds rather than minutes. If you are using an electric stove, some cooking methods are not available to you. Do you think that you could flambé your meal using an electric range without burning the house down? It is not very likely. You will have to use a lighter in one hand and the pan in another and that not only risks fire but also burning yourself. Bottini Fuel knows that there simply is no replacing the propane range. It is the cleanest and efficient way to make your meals. It doesn’t matter if you cook on a nightly basis or if you are doing meal prep, all of your food will get done faster and in the style in which you want it to be done in.